Do you have a family of 2 adults and 2 teenagers who are already 13 years old? Choose the “4×4 formula”, where 4 people in a quadruple room pay only 3 quotes, or the family room with two spaces, one with a double room, one tween room and a bathroom (with a minimum supplement which is often free). For Club Esse, families are precious! This is why the hotel group offers them the best seaside vacation opportunities. In addition to take your kids for free there are two other formulas designed for families of 4 people. For bookings of 4 people who want to stay together in a quadruple room you can do so by paying only 3 full rates. Did you know that in many seaside Club Esse resorts are available rooms composed of two spaces, one with a double bed, one with two beds and a bathroom. This option is available with a minimum surcharge, but often, the “Family Room” formula is free. All you have to do is choose one of the hotels that are part of the offer *. At Club Esse Sporting the “Family Room” option is available for a minimum surcharge of 30 euros per day per room. At Club Esse Roccaruja the “Family Room” option is free. At Club Esse Gallura Beach Village the “Family Room” option is available for a minimum surcharge of 30 euros per day per room. At Club Esse Posada Beach the “Family Room” option is free. At Club Esse Cala Bitta the “Family Room” option is available for a minimum surcharge of 30 euros per day per room. At Club Esse Cala Gonone Beach Village, it’s possible to pay 3,5 rates fon an accommodation in 2 adjacent or communicating rooms. Al Club Esse Sunbeach the “Family Suite Room” option is available for a minimum charge of 20 euros per day per room, while the “Lagoon Family Suite Room”, with direct access to the Laguna pool, is available for a minimum charge of 60 euros per day for room. Al Club Esse Costa dello Ionio the “Family Room” option is available for a minimum surcharge of 30 euros per day per room. Al Club Esse Mediterraneo the “Family Room” option is available for a minimum surcharge of 30 euros per day per room. And to spend a holiday as true “Heroes” to your little ones there is the Hero Camp, the mini club entertainment service for a family dimension summer 2018 of fun, sun and beautiful beaches in some of the the most beautiful places in Italy. * The offer is valid only after verification of hotel availability and available starting from three occupants with payment of minimum 2.5 rates. 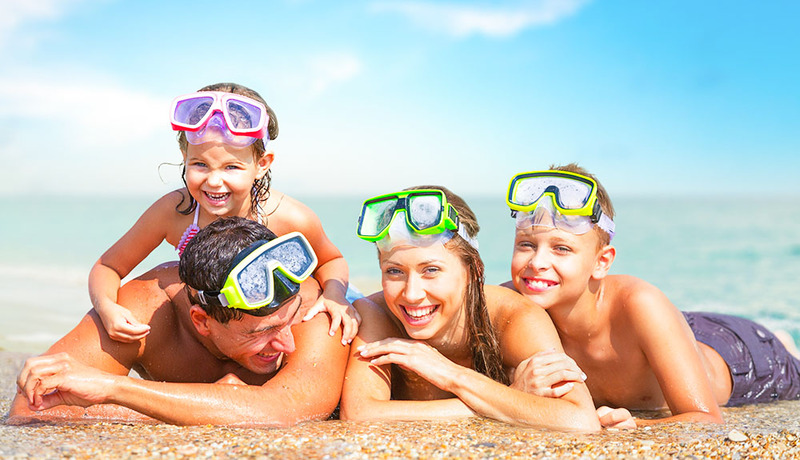 ** For single parents, in all the hotels and resorts, with the “special adult with child” fare, an adult with a child (3-12 years old) in a double room pays 1.5 quotas. Club Esse is in Sardinia, Sicily, Calabria, Abruzzo and Valle d’Aosta, with its hotels, resorts and tourist entertainment services. Fun and relaxation in places with unforgettable landscapes. And always with a special care for the little ones, with the Hero Camps.